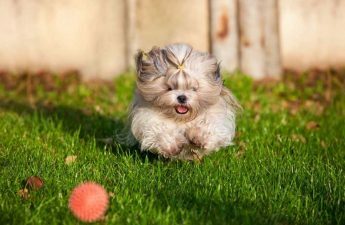 In this post, you’ll find information about specially formulated dog shampoo and conditioner that will be suitable for bathing your Shih Tzu. I’ll explain why it’s dangerous to use human shampoo and conditioner and the benefits of using the right kind. I’ll also provide a brief step by step guide to bathing your Shih Tzu and a list of dog Shampoos I would recommend. Dog shampoo is specially formulated for dogs so by understanding what shampoo is best for your Shih Tzu you can protect them from any skin irritations and give them the best looking coat possible. 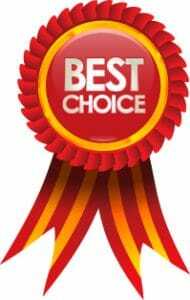 Our best choice award for Shih Tzu shampoo goes to the all-natural Earthbath range of shampoo and conditioners. 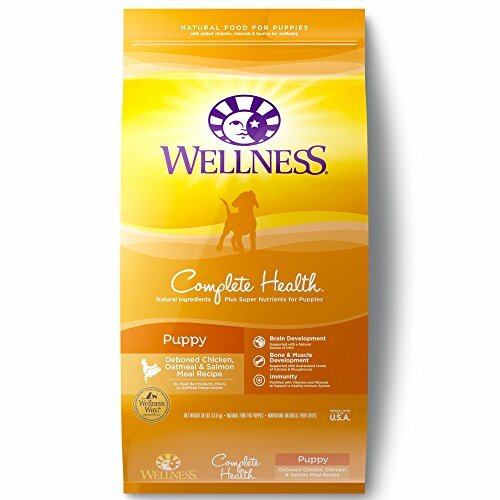 It’s made from all natural biodegradable ingredients, has a hypoallergenic formula, a balanced pH level, no chemicals and is good for dogs with sensitive skin and allergies. You can read our extended review here. The Shih Tzu is a breed of dog that has a double coat. This is comprised of an outer coat and an inner coat and they both have different textures. 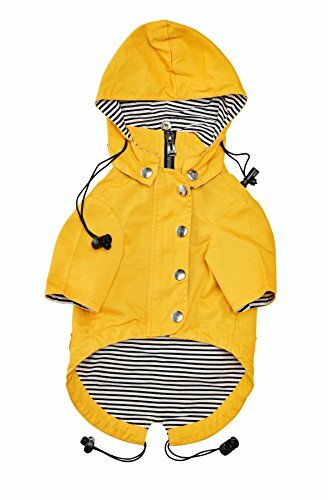 The outer coat provides your dog with protection from the environment including such things as the cold and the rain. 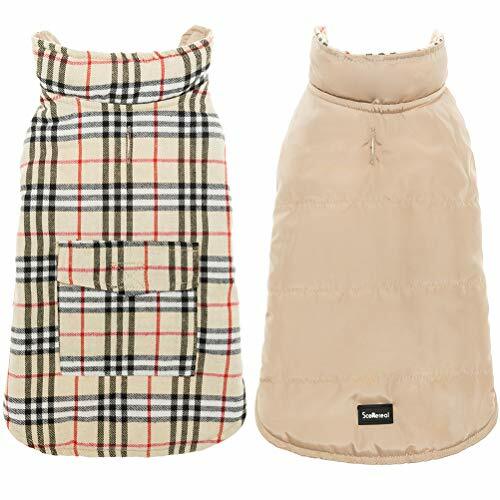 While the inner coat is a dense layer that insulates the dog keeping him warm in cold weather. To give their coat a good clean you’ll need 3 essential products – shampoo, conditioner and a leave-in spray. If you know the right kinds and right quality products to buy you’ll leave your Shih Tzu with a healthy, silky, glowing coat. The type of cleaning agent in the dog shampoo you buy is extremely important. 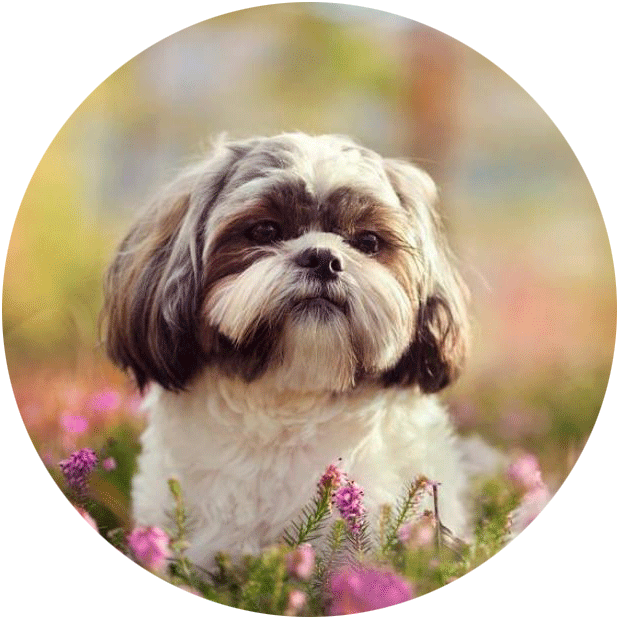 Your Shih Tzu will be constantly secreting natural oils from their skin pores and these are important for keeping the hair and skin of your dog moisturized. Just like in human hair, over time these oils start to build up and the hair will eventually become greasy and smelly. Part of the reason for shampooing your dog is to remove these oils and it’s the cleaning agent that’s responsible for this. The cleaning agent is essentially a molecule made up of hydrophobic and hydrophilic chains that trap the oil and debris we want to remove. How well this job is done depends on the quality of the cleaning agent. Therefore, if you use a cheap shampoo with a lower concentration of the cleaning agent then your Shih Tzu will not be cleaned properly. Quality products will have quality ingredients and this one is obviously very important. If you use an inferior product you’ll notice that after bathing your dog they’ll still feel a bit greasy and maybe a bit smelly too. The PH level of the shampoo you use on your Shih Tzu is another important consideration. As you probably remember from your high-school science class, the PH scale is used to measure how alkaline or acidic a certain product is with acidic products being lower down the scale and alkaline higher. If the chemical makeup of the shampoo does not have the correct PH balance then it can have some serious consequences for your dog. A quality dog shampoo should have a PH balance of around 6 or 7. But with inferior products, this can be lower and more acidic leading to problems such as dry eye, skin irritation and yeast infections. This is the main reason it’s extremely important to never use human shampoo. Human skin and dog skin are not quite the same and therefore the shampoo we use can have a far more acidic PH balance (somewhere in the range of 4.5 to 5.5). One of the main differences between human and dog skin is that the outer layer of dog skin is not as thick as human skin. 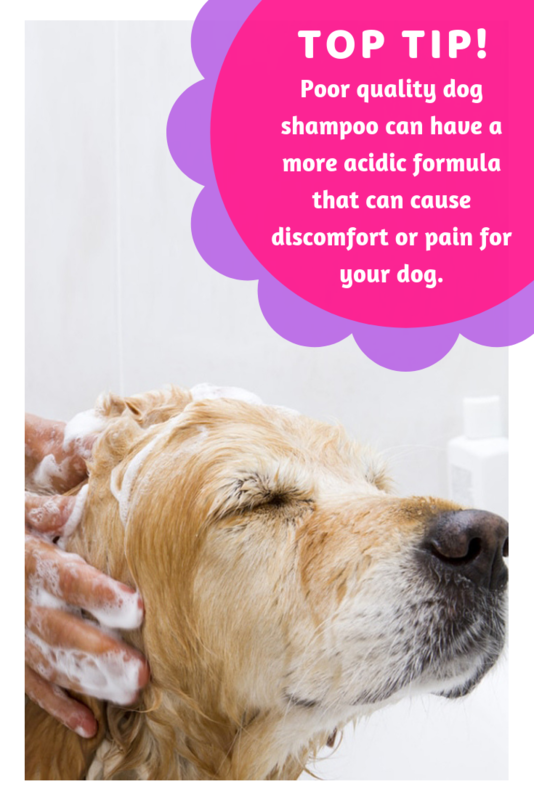 This means a more acidic shampoo can strip away too many upper layers of skin and can cause your dog severe irritation and itching. The PH balance of shampoo can also have a negative effect on the colour and shine of your dog’s coat. One of the problems with inferior dog shampoos is that they can wash too hard. This may sound odd as the whole point of shampoo is to clean your dog’s hair. However, over cleaning can cause a lot of damage to your Shih Tzu’s coat. Some low-grade shampoo can be too harsh due to chemicals and poor cleaning agents. 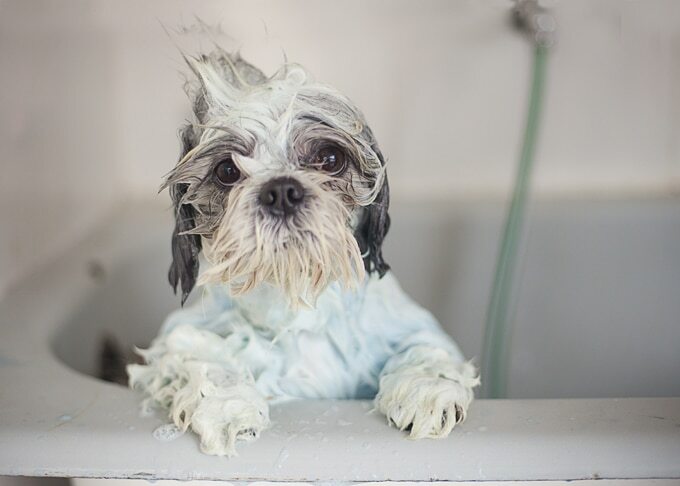 This can leave your Shih Tzu’s hair in a worse condition than when you started. These types of shampoos can do a lot of damage to the cuticles and cause splits end to develop. Shampoos that over clean can also remove too many of the natural oils that your dog needs to keep it’s skin healthy and moisturized. It’s a good idea to look for a shampoo or conditioner that is chemical free or produced from natural products. An organic shampoo should also be an option for the wider benefits. Artificial Colouring (D&C, FD&C, Yellow 5). Pay particular attention to paraben, phthalate and phosphates. These ingredients are far more difficult to thoroughly remove when rinsing your dog’s coat. Unwanted chemicals left on your Shih Tzu could cause them to itch and lick there skin excessively leading to skin problems and an upset stomach. On top of this, the coat will also look limp and oily. Some of these ingredients will be impossible to remember so you should write them down or print them out so you can check the ingredients of the shampoo and conditioner you decide to purchase. So now that you understand what kind of shampoo and conditioner is best for your Shih Tzu we can move on and talk about the actual products. All the shampoos, conditioners and leave-in products I have recommended are made completely with organic ingredients. 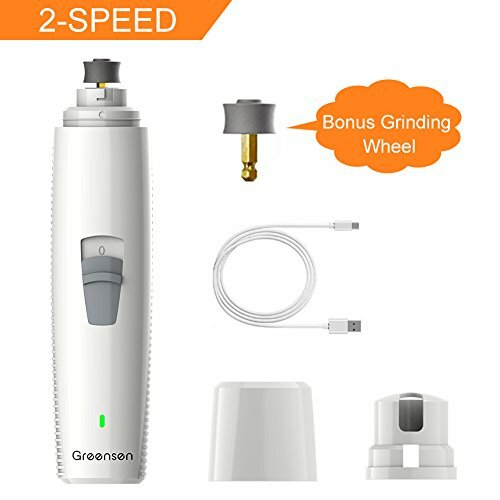 I only recommend products that have at least a 4 out of 5 rating on Amazon and I include a link for you to read through the reviews before making a commitment. No skin or allergy problems. If your Shih Tzu doesn’t suffer from any skin or allergy issues you can use a good quality but simple shampoo and conditioner. Earthbath shampoo and Earthbath conditioner are made from all natural and biodegradable products. It doesn’t contain DEA, perfumes, synthetic dyes or any harsh chemicals that could affect either your Shih Tzu or the environment. This is a good product for hair that is rather oily and also helps to promote healthy skin. The shampoo can also help to heal areas of dry or damaged skin. It will also add moisture to your dog’s skin that helps to create a nice shiny coat. This brand also provides the shampoo in different scents, including vanilla, rosemary and mango. Sofee & Co shampoo and conditioner are organic products and completely free of chemicals and unnatural colouring. Due to its ingredients, this is a gentle shampoo and is ok for weekly use. It’s also safe to use alongside flea and tick medications. 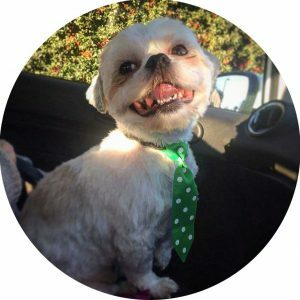 All their products are cruelty-free and made with all natural ingredients making them both safe for your Shih Tzu and the environment. The shampoo has a PH balance of between 5 and 7 that is perfect for your dog. 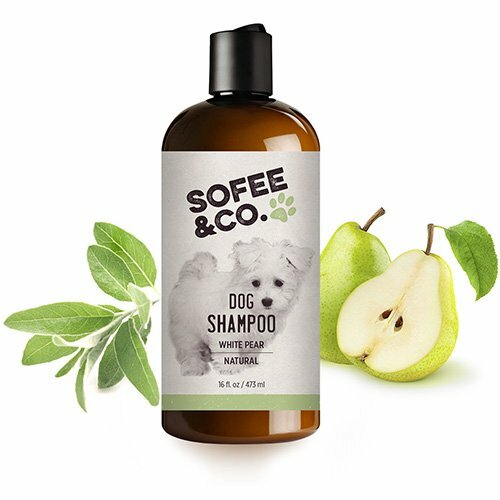 Sofee & Co dog shampoo also has an excellent 4.4 out of 5 star rating from over 2.500 reviews on Amazon. You can check out the reviews for yourself here. If you know your Shih Tzu has an issue with sensitive skin then you should get a shampoo and conditioner that is specially formulated for this condition. All the products I recommend use 100% natural ingredients so you should be fine using any of these products. 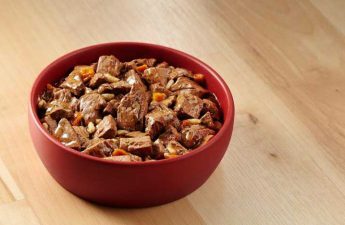 But of course, your dog can still have a reaction to a natural ingredient and if this is the case then trying out the product below might be a good option. Shampoos for sensitive skin will often be made with oatmeal or similar ingredients that can help soothe and heal the skin and they don’t contain any harsh chemicals that can cause irritation. The shampoo and conditioner from Four Legger contain all natural ingredients and is certified organic. This product has no detergents, sulfates, synthetics and it naturally deodorizes and moisturizes. The lemongrass and aloe vera ingredients can cleanse the skin of all types so is perfect if your Shih Tzu suffers from sensitive skin. The organic and essentials oils also help to soothe your dog’s skin. Another advantage of this product is that is has a concentrated formula meaning you don’t have to use as much and it’ll last longer. The gentle formula also means that this shampoo and conditioner is hypoallergenic meaning you can also use this product on dogs that suffer from allergies. This is a great biodegradable, sustainable, cruelty-free, vegan and eco-friendly product. 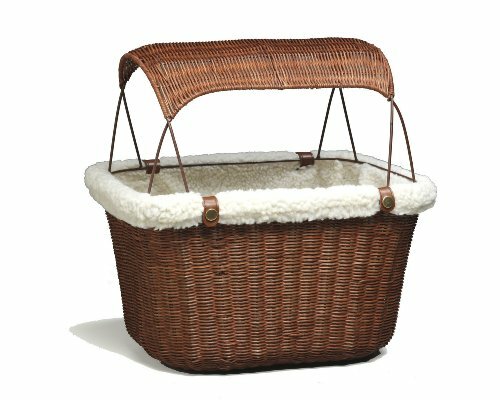 Hypoallergenic (causes fewer allergic reactions). Four Legger dog shampoo has an excellent 4.5 star on Amazon. You can check out the reviews for yourself here. If your Shih Tzu has allergies then you’ll need a shampoo that helps to soothe itchy, irritated skin. Some of these products will contain medical ingredients that can also help to heal damaged areas of skin. If your dog has a severe skin condition then you should always consult your Vet about the right kind of shampoo to use. Recommended by Vets (check the reviews), this 2-in-1 shampoo and conditioner are specially formulated for dogs with allergies and flea bites. 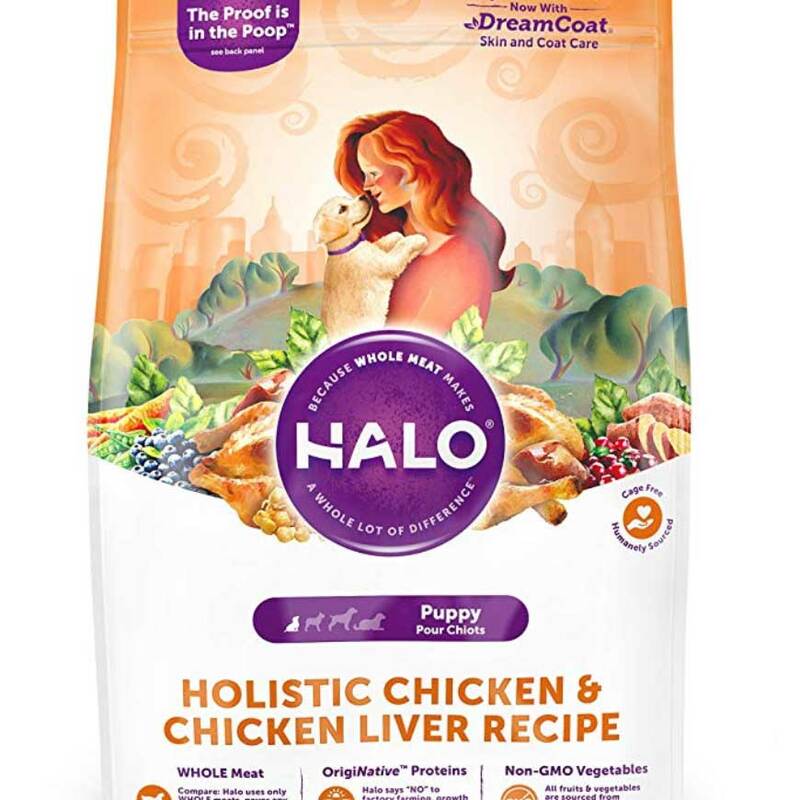 It contains all natural and organic ingredients and has a good PH balance suitable for a Shih Tzu with sensitive skin or an allergy problem. Another bonus of this product is that you use it on other animals too. So if you have other pets like a cat or a rabbit you can also clean them with it. 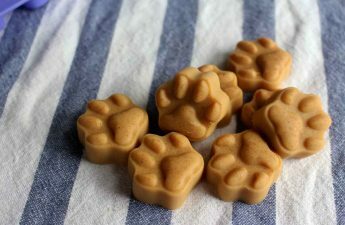 Specially formulated for pets with allergies. 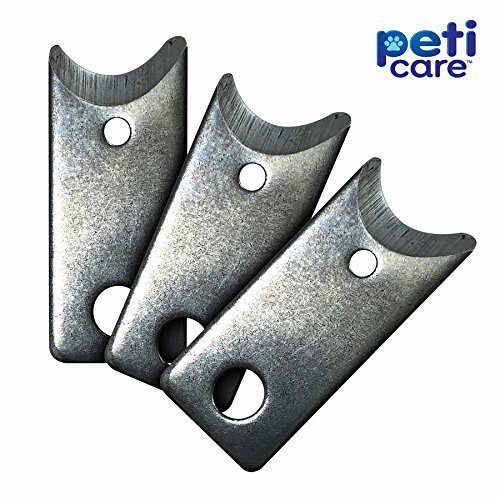 Can be used on different animals. Pro Pet Works dog shampoo has an excellent 4.7 out of 5 star rating on Amazon from over 1,300 reviews (the best on this list). You can check out the reviews for yourself here. If your Shih Tzu has fleas or ticks then purchasing a shampoo that is specially formulated to deal with the problem is a good idea. A lot of these products have harsh chemicals to get the job done but in my opinion, there are perfectly good shampoos with natural ingredients that work just as well and why take the risk of harming your dog’s skin or coat if you don’t have to? If the fleas or ticks are severe and can’t be removed or keep returning your should discuss this with your Vet. Richard’s Organic shampoo uses 100% natural ingredients and includes active ingredients for the treatment of fleas and ticks. Please note this shampoo is only for dogs and puppies over 12 weeks of age. 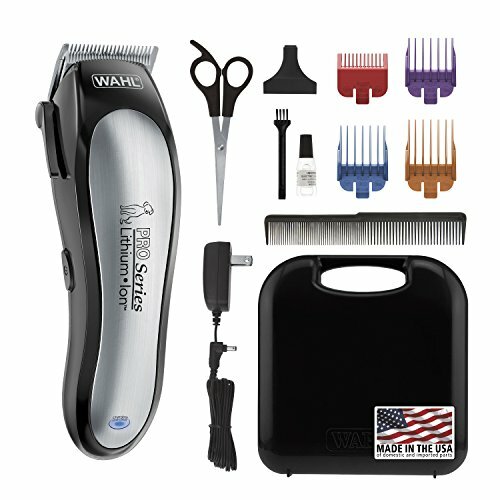 It’s soap free, dye free and has a good PH balance suitable for your Shih Tzu. It includes many natural oils including clove oil, cedarwood oil, peppermint oil and rosemary oil. Richard’s Organic dog shampoo has a 4 out of 5 star rating on Amazon. You can check out the reviews for yourself here. For in-depth instructions on bathing your Shih Tzu and a full grooming guide, you can our article – How To Groom A Shih Tzu.